Choosing the appropriate tai chi style is one of the most important decisions you will make once you decide to practice. Most beginners think of tai chi as just one art form and don’t realize the multitude of styles available. Even if you’re already practicing a certain style, it helps to know the differences, because at some point you may also benefit greatly from learning another style. Essentially, all tai chi styles have far more in common with each other than they have differences. All improve health, reduce stress and help you move more gracefully. 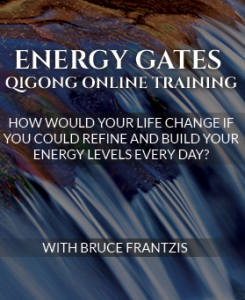 All develop chi (qi) and use slow-motion, flowing, circular movements. For most practitioners, they choose to learn based on the quality of the teacher, the convenience of the school and other personal factors. Knowing about the styles upgrades your knowledge and guides you to make the right choices in the future. 5 Major Tai Chi Styles: Which Style Is Best for You? Each style has a different syllabus, structure and flavor as regards to how its specific techniques are applied. All five styles can potentially give you tai chi’s health benefits. Four of tai chi’s five major styles—all except the combination styles—derive their name from the founder’s surname. The Chinese talk about tai chi in terms of its founding family, such as Wu, Yang, Chen and Hao families. Each style takes a different approach toward the movements of their forms and each style has many variations or schools. Each school is composed of practitioners who follow specific leaders or teachers within the style. Each school emphasizes a specific approach to the art: their forms may have recognizable stylistic differences, trademark movements or develop specific self-defense training skills. Yang style tai chi is the most popular and widely practiced tai chi style worldwide. In England and America, at least 20 main variations of the Yang style exist, and in China, there are even more. The various schools originated from the approach of a specific master or from a particular geographic region within China. Each variation has a distinct flavor, looks different from the others to a greater or lesser degree and may emphasize different technical points. All, however, will be called Yang style. Wu style tai chi is the second most popular style. It has three main variations with strong stylistic differences that derived from the founder, Chuan You, his son, Wu Jien Chuan, and his grandchildren. The Wu style was created directly from the Yang and, as such, is the largest variant of the Yang style. However, unlike most traditions in the Yang style, most Wu schools emphasize small, compact movements over large and medium-sized ones. 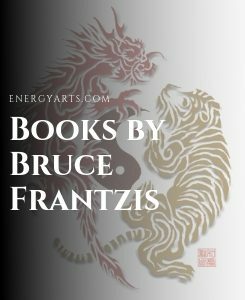 The Yang and Wu, with all their variations, encompass the vast majority (80 percent or more) of all tai chi practitioners. Chen Style tai chi, originating from the Chen village, is the original style of tai chi from which the Yang style was created. It is relatively hard to find Chen style teachers and adherents account for about one percent of tai chi practitioners. Unlike most tai chi, not all the movements of the Chen Style’s first level of training are done in slow motion. The Chen style alternates slow-motion movements with short, fast, explosive ones. It demands more physical coordination and may strain the lower back and knees more than other styles; consequently, it is difficult for the elderly or injured to learn. The complexity of its movements, which include fast releases combined with jumping kicks and stamping actions, makes it more athletic and physically difficult than most other tai chi styles and as such, is often more appealing to young people or martial artists. Hao style tai chi is exceedingly rare in China and almost non-existent in the West. Its small-frame movements are extremely small. 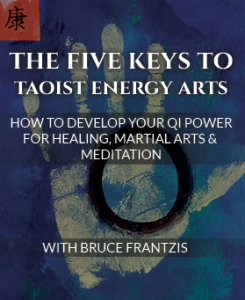 Its primary focus is on tai chi’s more internal chi movements with physical motions being much less important. Hao style tai chi is considered an advanced style that is hard to appreciate for practitioners without significant background knowledge of tai chi. Combination styles are the third-most popular styles after the Yang and Wu. 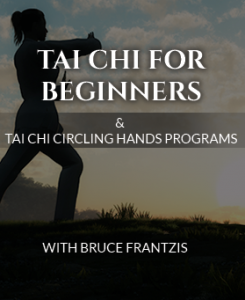 These styles freely mix and match movements from the four other tai chi styles as well as movements from other internal martial arts styles, such as bagua and hsing-i. The combination styles you are most likely to find in the West include the Sun style, which combined Hao tai chi with bagua and hsing-i; and the Chen Pan Ling style, which combines Yang, Wu and Chen tai chi with bagua, hsing-i, and Shaolin kung fu. The physical coordination skills of the Yang, Wu and Hao styles are usually the easiest to learn, the combination styles are in the middle and the Chen style is the most difficult. If your body is extremely tight and your goal is to get stretched out, the large styles of tai chi will initially work faster, especially for the legs and hips. However, the smaller styles will also get the same job done over time. For those with a bad lower back or injured knees, forms with higher rather than lower stances are better. Smaller frame styles tend to have higher stances. Large styles initially make it easier to develop leg strength because of their longer and deeper stances. Smaller styles make it easier to access the more internal work tai chi has to offer, including making it easier to work directly with the internal organs. The slow-motion, short-form styles are generally best for people over the age of 50 since they are initially easier to learn. Beginning with a short form and learning a long form later on, if desired, is a less frustrating and easier path for older people to enjoy, absorb and remember their tai chi form of choice. Deeper, longer stances, more common in large frame styles, can aggravate the knees and back. If your knees are already strong, deeper, longer stances can make your legs stronger at a faster speed. Small frame styles, such as the Wu style, are usually better for upgrading the health of your internal organs. For elders, the bigger movements of large frame styles may be easier to remember initially and the smaller styles more fascinating once you have some tai chi background.